Compensation：This pin is the Error Amplifier output and is made available for loop compensation. 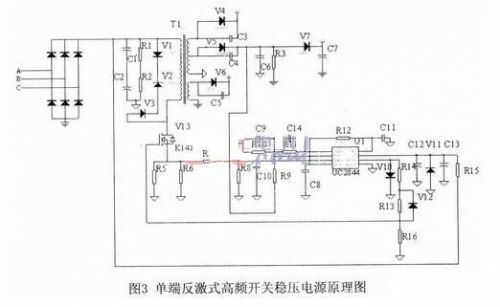 Voltage、Feedback：This is the inverting input of the Error Amplifier. It is normally connected to the switching power supply output through a resistor divider. information to terminate the output switch conduction. RT/CT：The Oscillator frequency and maximum Output duty cycle are programmed by connecting resistor RT to Vref and capacitor CT to ground. Oscillator operation to 1.0 kHz is possible. GND：This pin is the combined control circuitry and power ground. and sunk by this pin. The output switches at one?half the oscillator frequency. VCC：This pin is the positive supply of the control IC. Vref：This is the reference output. It provides charging current for capacitor CT through resistor RT. to reduce the effects of switching transient noise on the control circuitry. connection, it can reduce the effects of switching transient noise on the control circuitry. 9 GND This pin is the control circuitry ground return and is connected back to the powersource ground. 2,4,6,13 NC No connection. These pins are not internally connected.